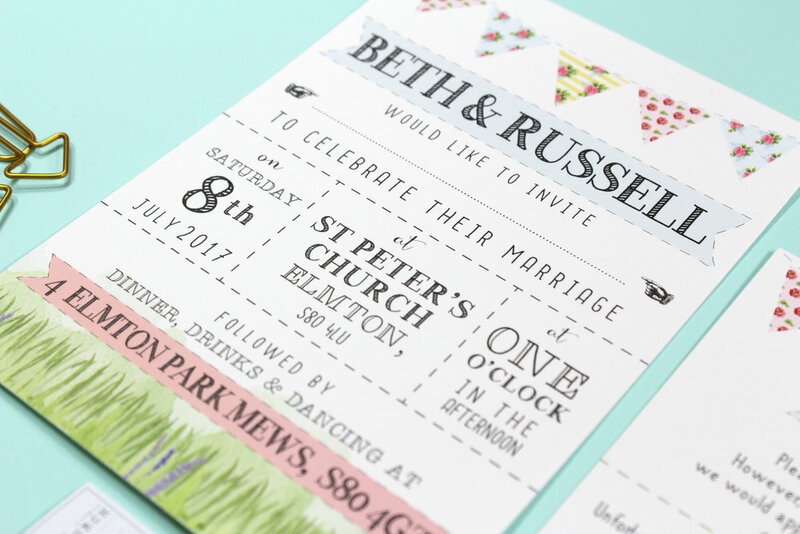 Beth & Russ wanted an invitation that match their relaxed countryside theme. 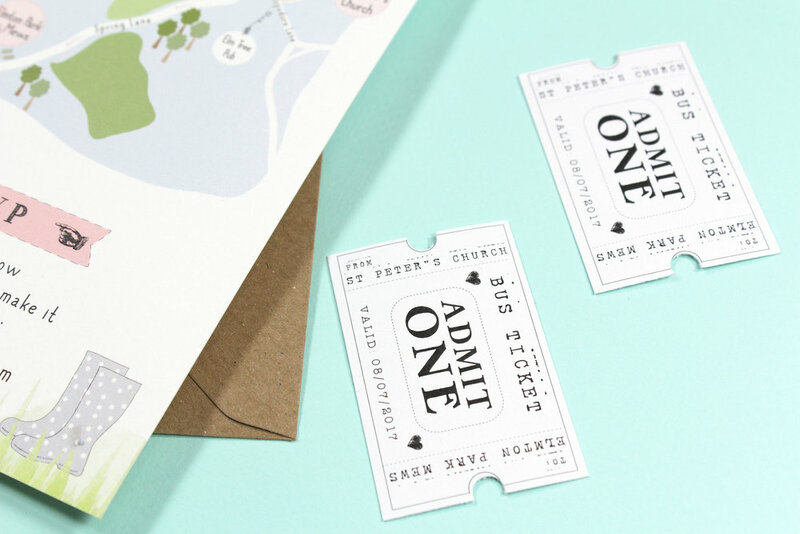 They wanted to include a bespoke map and bus tickets for each of their guests. A6, flat invitation with bespoke map on the reverse. An A6 guest information card. Cute little bus tcikets for each guest. Printed on Tintoretto Gesso, 300gsm white card. A soft white with textured finish. Kraft envelope. Smooth card stock for the bus tickets.